At Breakstone, White & Gluck, P.C., of Boston, our lawyers have over 100 years combined experience handling premises liability cases in Massachusetts. Premises liability refers to any type of accident caused by a condition on somebody's property. This could include a foreign substance, such as oil, a foreign object, an obstruction, snow or ice, defective construction, improper maintenance, a slippery floor, broken stairs, and other defects on the property which cause you to slip, trip or fall. In Massachusetts, a property owner or the person controlling or using the property may be responsible for personal injuries you suffer while visiting or using their property. Premises liability cases are a type of negligence case. In addition, on residential rental property, the landlord might be responsible under a theory of breach of warranty of habitability if the property does not conform to the building code or the housing code. Breach of warranty applies to tenants and their guests; both can recover. If the landlord's conduct is extremely outrageous, the landlord might be liable for multiple damages under the Massachusetts Consumer Protection Act, G.L. c. 93A. Who Is Liable For Personal Injuries Caused By Premises Liability? Typically the owner of the property is the person responsible for injuries caused by negligent maintenance of the property. However, many commercial properties are leased to business tenants, and the property owner might not control the property. In that case the business renting the property becomes responsible for the maintenance of the property. In residential properties, the tenant and the landlord might share responsibility in certain situations. A contractor working on the premises might also share in the liability. In most of these cases, the responsible party will have liability insurance. There may also be medical payments insurance coverage. Some premises liability cases involve failure to maintain the property. It is easy to understand that building materials, such as wood staircases or brick walkways, will wear out; they need regular maintenance. The failure by a building owner to regularly inspect and to regularly maintain the premises may lead to liability. In some cases, the landlord or the business might create the condition. For example, a store owner might wash a floor, leaving it wet and slippery. The owner has a duty to put up warning signs to prevent a slip and fall accident. In some cases there is limited or no liability. In Massachusetts, if an accident occurs as a result of a defect in a public way, then liability is limited to $5,000, and one must be completely without fault in order to recover. Notice to the municipality is required within thirty days. Massachusetts also has a strict law which prevents liability for recreational uses if no fee is charged for using the property. This law frequently prevents injured victims from recovering for injuries in parks, public properties, and sometimes even shopping malls. However, the use must be a recreational one for the statute to apply. Since premises liability cases typically involve a condition, in order to prove the case the lawyer needs to demonstrate that the owner knew or reasonably should have known about the condition. For example, if the condition was caused by a spill, the owner is entitled to a reasonable amount of time to discover the spill and clean it up. How long? It depends. If it is a busy public space, such as the entrance to a store, then it is usually a fairly brief period of time. Snow and ice accidents also require proof of the condition and how long it was likely present. Fortunately, the Massachusetts Supreme Judicial Court modified the law in July 2010, allowing people who are injured on any type of accumulation of snow or ice to present their claims. present special problems in Massachusetts. Injuries from snow and ice require notice to the property owner within thirty days. For more details, please see our page on Choosing a Massachusetts Snow and Ice Accident Attorney. If your accident occurred on public property that is not a public way, a claim notice must be served on the government within two years in order to preserve the claim. These statutory notice provisions are very strict, and are different than the statute of limitations. Your legal rights need to be protected after an accident arising from premises liability. You should hire an experienced personal injury attorney, one who understands the law and complex regulations governing premises in Massachusetts. In some cases, immediate notice may be required to preserve all of your rights. 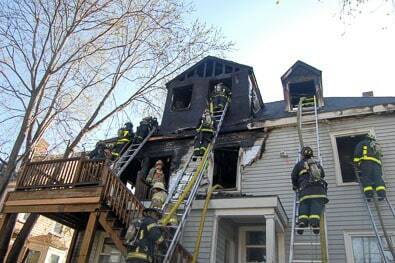 In addition, a premises liability accidents in Massachusetts are governed by a Statute of Limitations. As mentioned above, some accidents also have shorter notice provisions which may be very strict. For more information on selecting a Massachusetts premises accident attorney, please see our page on Choosing an Experienced Massachusetts Personal Injury Lawyer. Our Case Reports page describes some of the many of the accident cases we have successfully handled on behalf of our clients, including premises liability cases. If you have an accident, it is vital that you act immediately to protect your rights. Please call us at 617-723-7676, or toll free at 1-800-379-1244, or use our contact form to send us an e-mail. Get a free legal consultation today with Breakstone, White & Gluck, P.C.